Sunday, December 14th 2014. A day that will live if not in infamy than in incredulity. 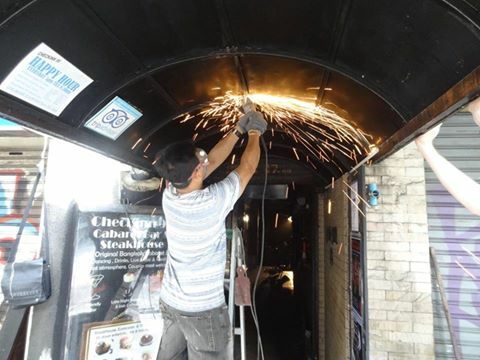 For it was on that day that the bureaucratic battle by Chris Catto Smith and his wife Mook was lost and the historic Check Inn 99 sign, seemingly forever located between Sukhumvit 5 and 7 was finally taken down by workmen to make more headroom available for bicyclists. 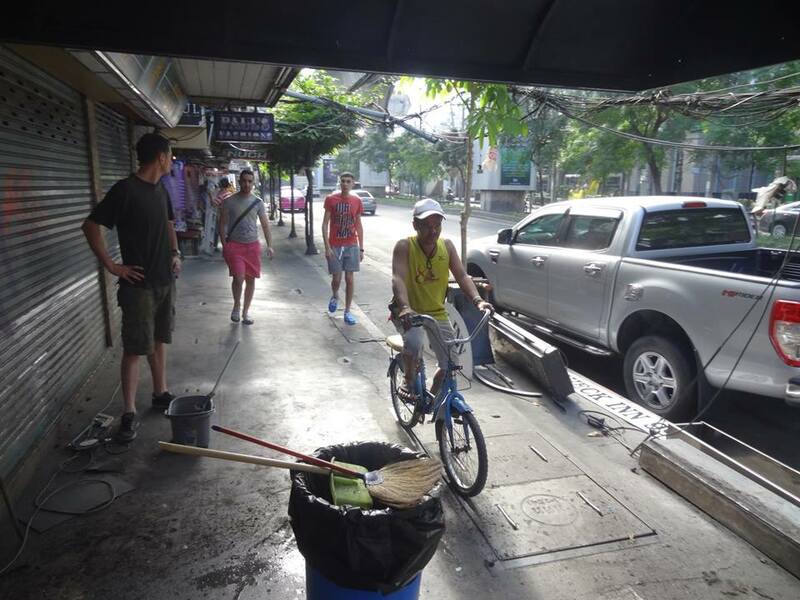 Because as everyone knows, bicycling is one of the great recreational activities Bangkok is famous for on Sukhumvit Road. As Chris drove home the point so clearly last night as he recounted his horror tales of dealing with the Thai government: he thought he was dealing with a psychopath when in reality it turned out it was the creation of a cycle path. (See Check Inn 99 Facebook page for details). Psychopath or cycle path on Sukhumvit Road? You be the judge. But fear not. 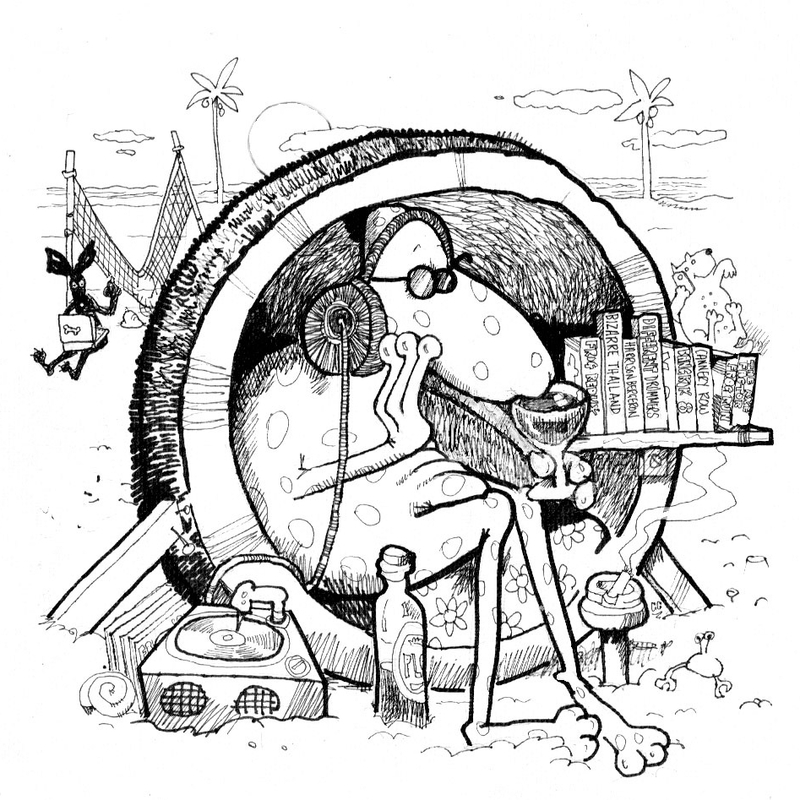 The memories of the Check Inn 99 sign will live on in the imaginative rendition by noted novelist and cartoonist, Colin Cotterill in the soon to be released book, BANGKOK BEAT detailing the colorful history of Check Inn 99. Over the past 7 months a lot of time and effort has been taken by members of the Check Inn 99 family to properly compile the needed information and pictures. 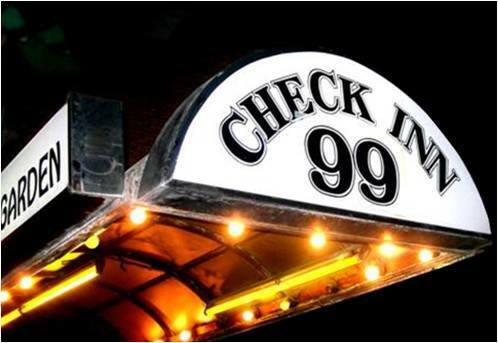 For the first time the written and photographic history of Check Inn 99 will be detailed in book form, along with previously published popular essays from this blog. It will be released initially as an E book and then as a paperback, the latter which will be available at Check Inn 99, this web sight and other sources by early 2015. 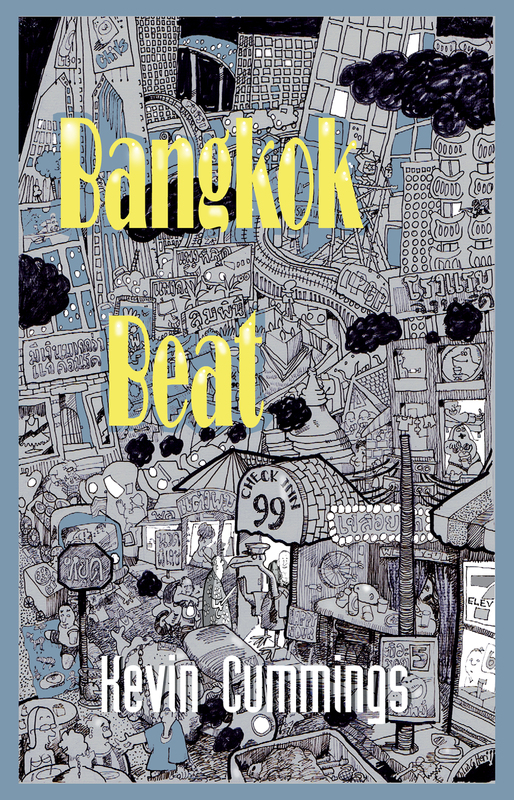 In addition to the storied history of Check Inn 99 the book will delve into the interesting people, things, literature and music of Bangkok and the region. Excellent cover. Looking forward to seeing the rest of the book. Looking forward to seeing the rest of the cover, too! This picture has to have a continuation, the one page isn’t enough. Extend into back alleys, please. One of the Thai signs is a puzzlement, though . . . maybe it’s just tha I can’t tell what letters are being indicated, but it looks like มีเงินมเกกว่าแก่คอมรด, which I can only translate as “Have money, McKay, more than for the water-pouring computer,” which might make sense if I could fit it to a story line.